2. For which website(s) do you need the marketing tools? 3. What marketing tool(s) do you need? *This question is required. Which Mailer you want to use? Select the mailer you want to have and continue below for the language and currency. Which Landingpage you want to use? Select the landingpage you want to have and continue below for the language and currency. Which banner(s) do you want to use? Select the banner(s) and answer the questions below for the size, language and currency. What format banner(s) you need? Belgium (BE) - Serbia (RS) - Denmark (DK) - United Kingdom (UK) - Cyprus (CY) - Curaçao (former Netherlands Antilles) - France (FR) - Italy (IT) - Spain (ES) - Turkey (TR) - Israel (IL) - Ukraine (UA) - Sweden (SE)- Slovakia (SK) - Mauritius (MU) - Czech Republic (CZ) -United States of America (US) and all of its territories such as American Samoa (AS), Virgin Islands (American) (VI), Guam (GU), Puerto Rico (PR), Northern Mariana Islands (MP), United States Minor Outlying Islands (UM). All bonuses are non-cashable. The bonus credits are for wagering (betting) purpose only, and only the winnings generated from playing with the bonus can be paid out by upon fulfilling the wager requirements. 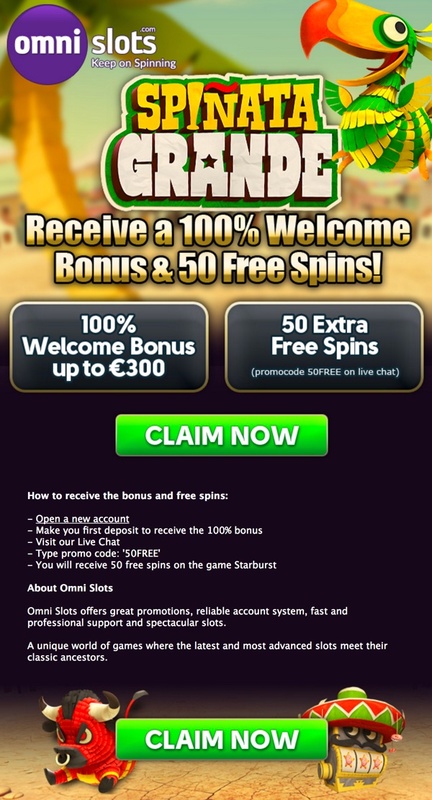 Free Spins: maximum withdraw for money won with free spins is 250 euro. Need to make at least 1 deposit to be able to cash out winnings. 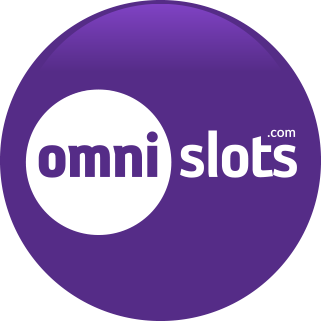 Below you will find the logos of omni Slots. You can save them by right click on image. You can also request another size below the logos. 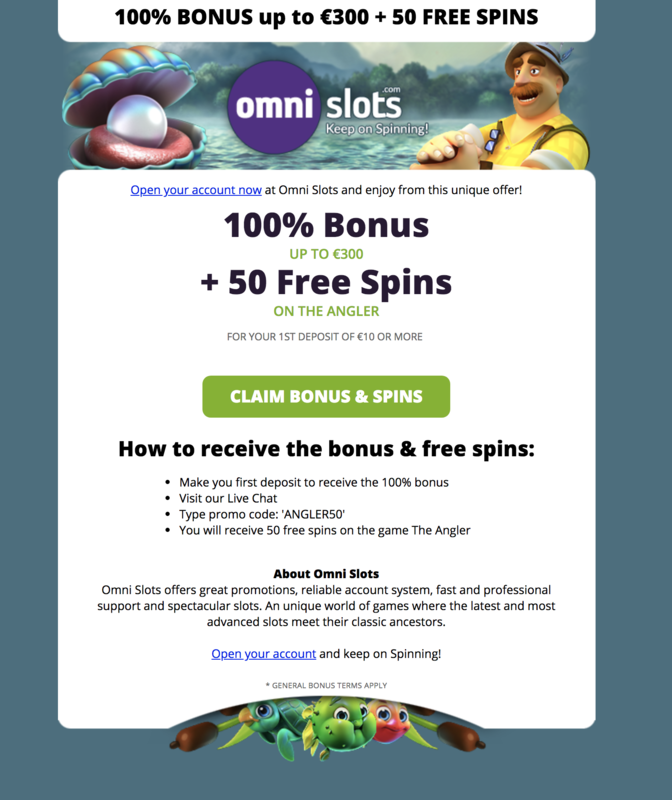 One of the biggest advantages at Omni Slots is the sign-up process. Straight from the homepage you can start with step 1 which already saves you 1 click. 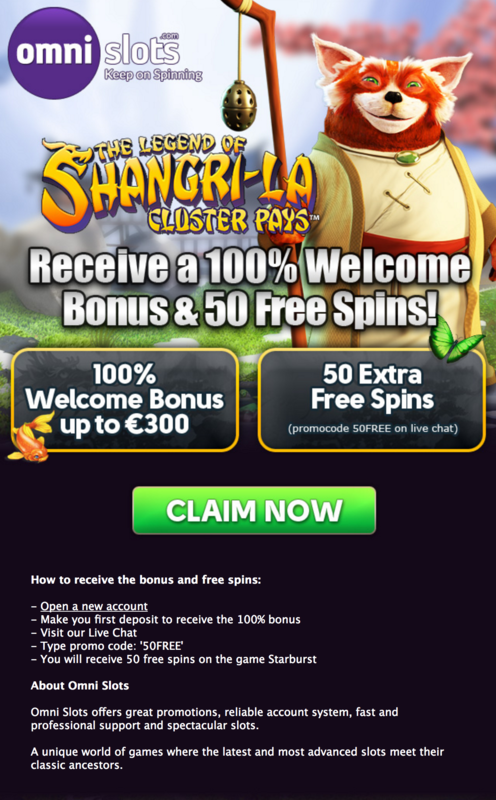 In step 2 you submit your personal details and you will immediately enter the cashier page where you can enjoy your 100% welcome bonus plus 50 free spins. 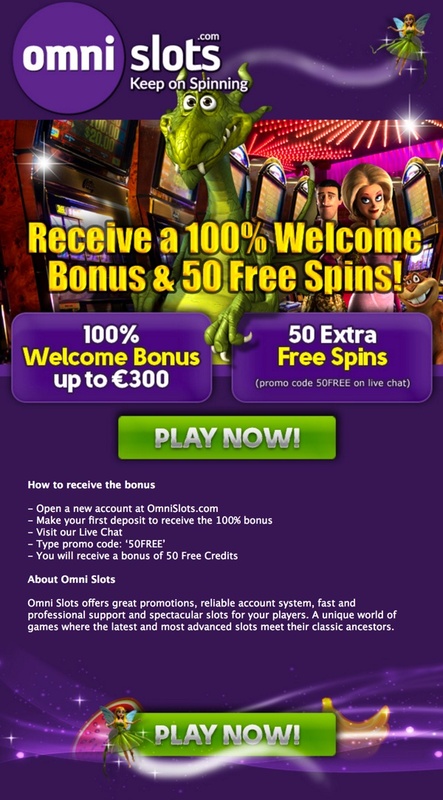 So, with only 2 steps you have entered the paradise of online slots and you are ready to choose your favorite game. Do you already have an account? Just login at the top of the page and you will enter the welcome page where you have an overview of your balance and where you will see your last played games. 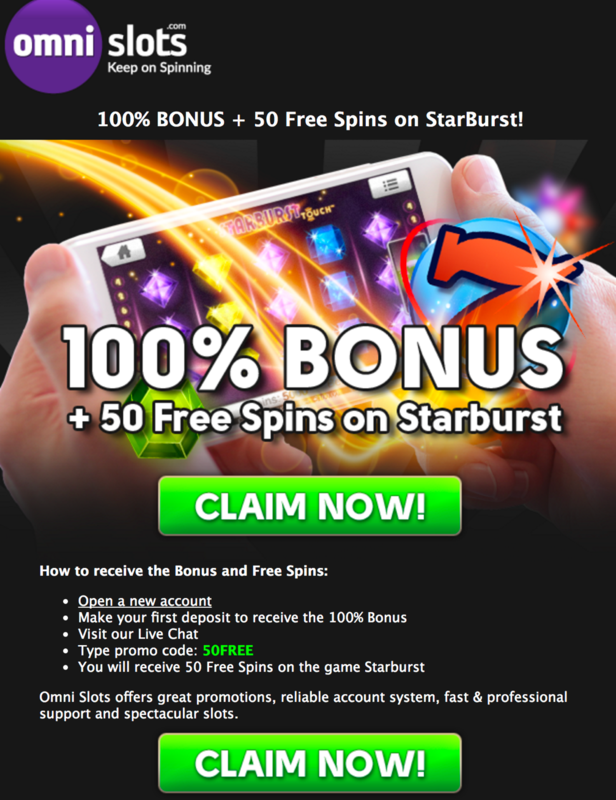 Your first deposit at Omni Slots gets rewarded with a bonus of 100% up to €300 plus 50 free spins on the game Starburst. 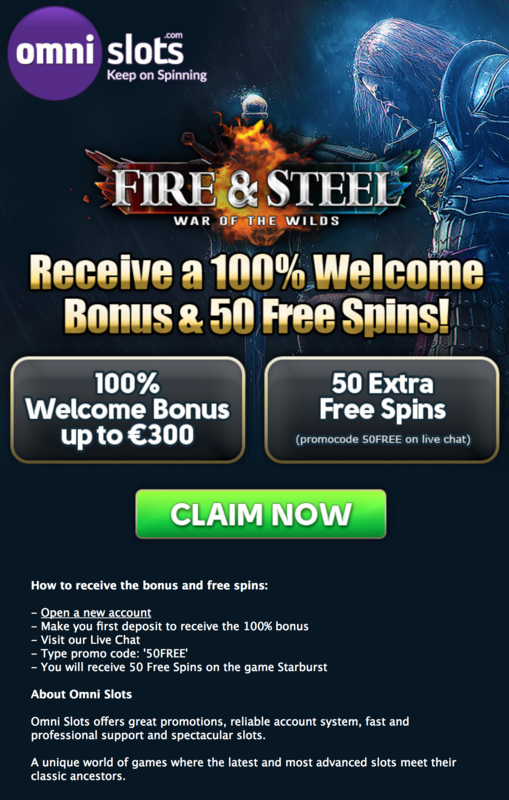 The 100% bonus will be added automatically and for the 50 free spins you need to visit the live chat feature and talk to one of the friendly support staff members. 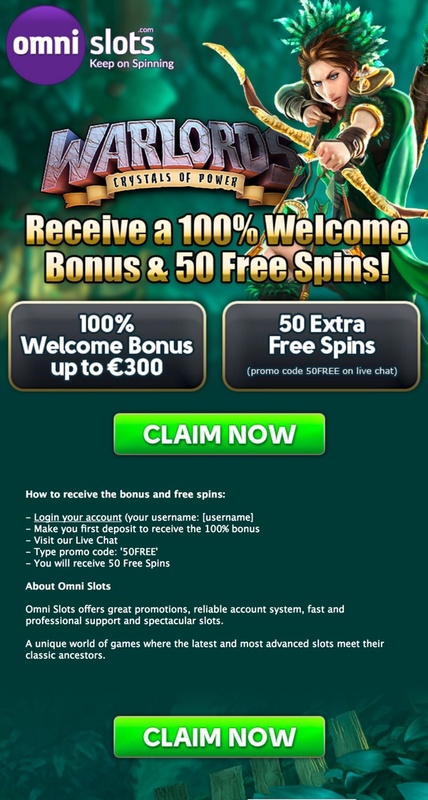 Just type FREE50 and tell them if you want the free spins on a mobile or desktop device. 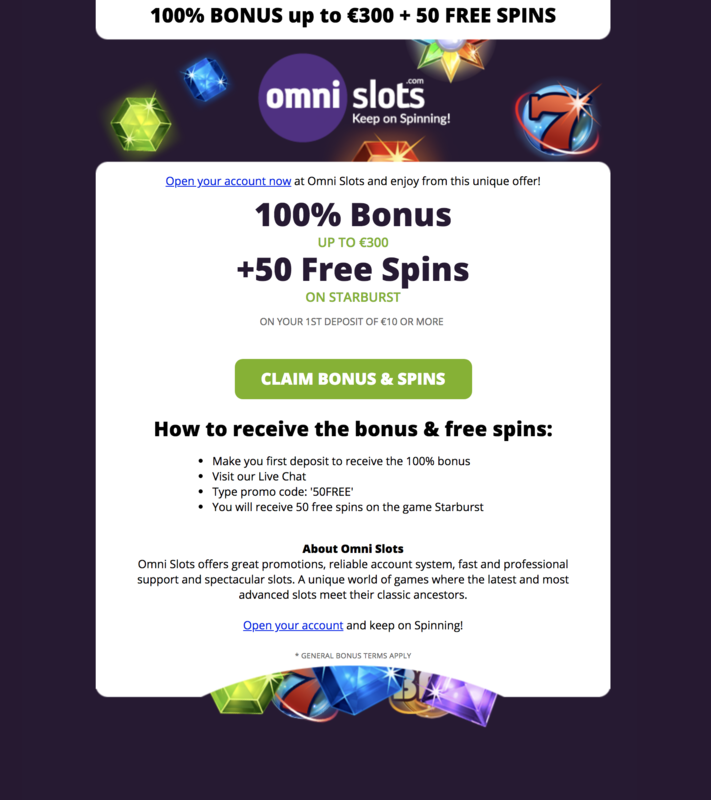 Omni Slots gives you more chances to win with a second deposit bonus. 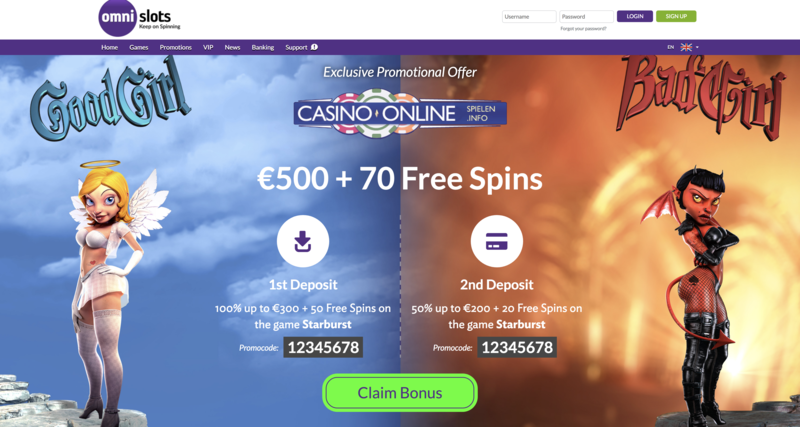 This time you need to visit the live chat to receive both the 50% up to €200 (min deposit €30) plus 20 free spins on the game Theme Park with your 2nd deposit. 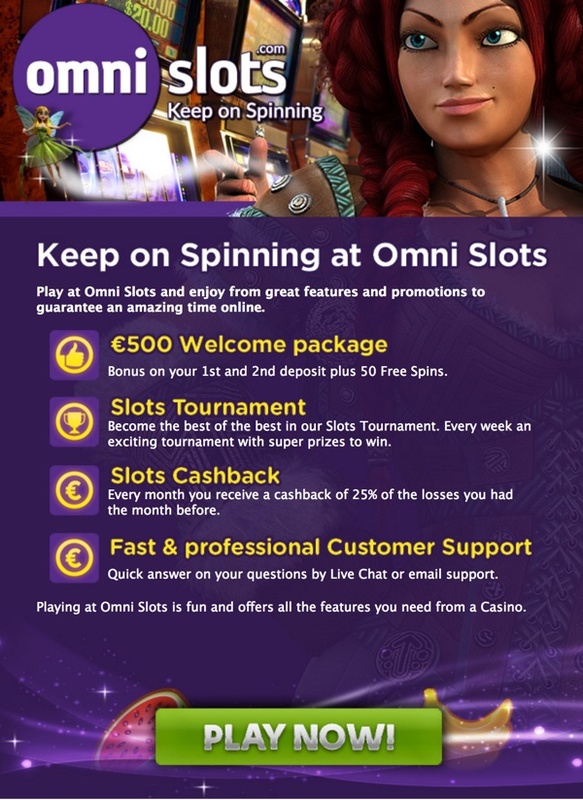 Omni Slots is famous for her spectacular promotions where you can win holidays, electrical equipment or real cash money. Every Monday you can receive 10 free spins on the slot of the week and almost every weekend they give a nice bonus for your first deposit of the day. 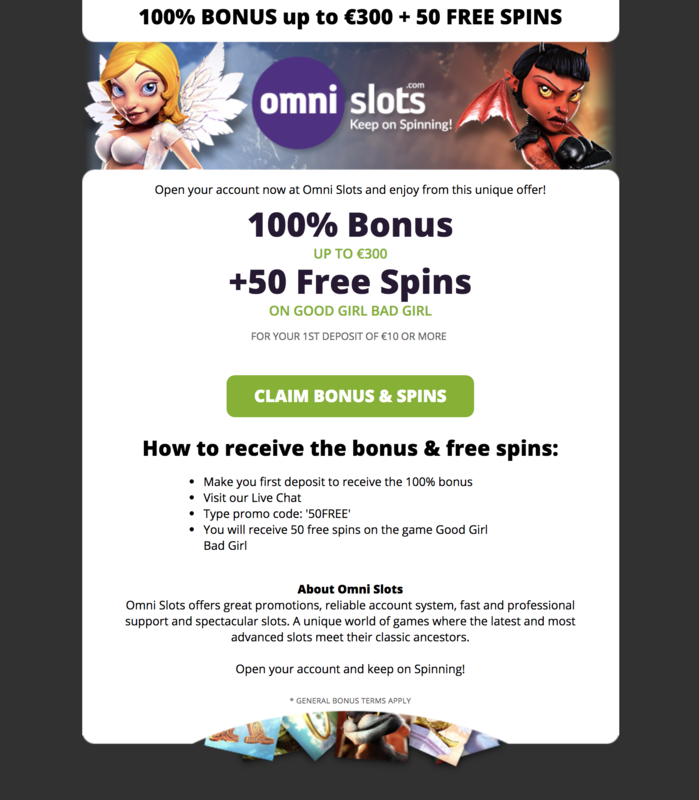 Omni Slots management has decided to offer only the best video slots to her players. Instead of offering all the slots you can find online a large selection of the most popular games. They managed to do this by investigating what slots are popular and years of experience in offering slot games. Is there action only for Slots players? No way, all the table games you expect in a casino are there for you and of course also live casino games like blackjack, roulette and Baccarat. Omni Slots uses a sophisticated and secure banking system where your details are encrypted and saved in a secure environment. They offer a wide assortment of deposit methods such as Neteller, Skrill, Credit card, iDeal, Bitcoin and many more. On their banking page, you can see all the payment methods and the necessary information. When you hit the jackpot or just win a few nice rounds then you can always payout your winnings. You can use Bank transfer, Neteller or Skrill as a payment method and your money will be transferred to you after a 24 hours pending period. 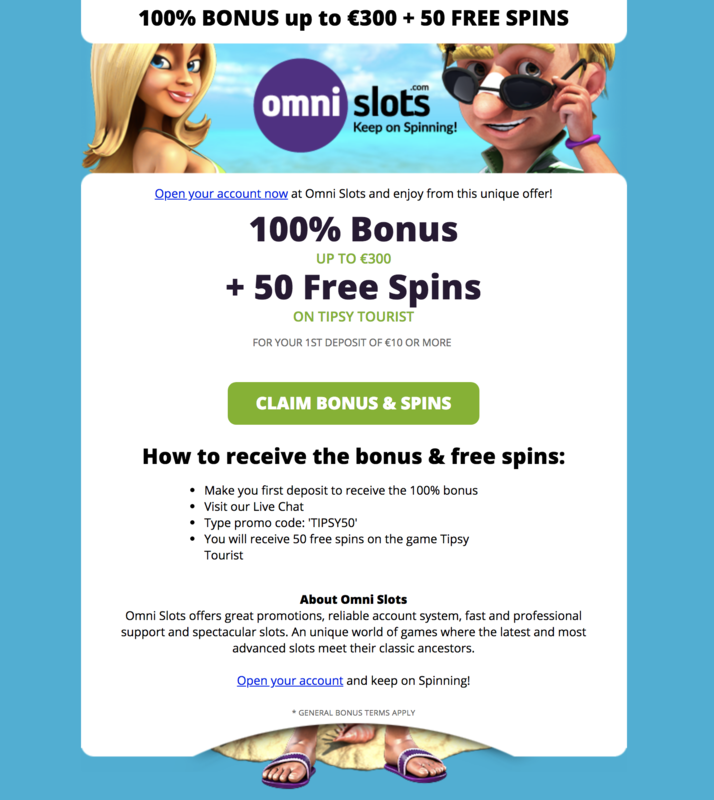 Omni Slots has a license in Curacao and has been in existence since 2015. Some blocked countries are US, UK, Cyprus, Turkey and France. In the terms and conditions, you can find the full list of blocked countries. The website is in the languages English, Swedish, Norwegian, Finnish, German, Spanish and French. 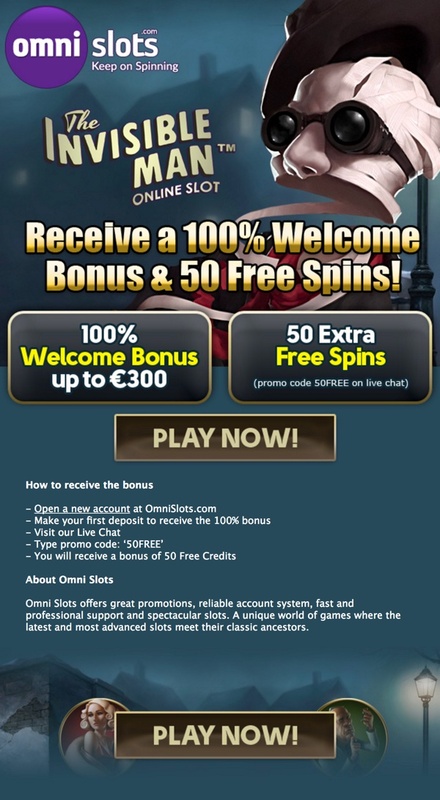 The currencies Omni Slots accept are Euro, Swedish/Norwegian Kroner, AUD, US Dollars. 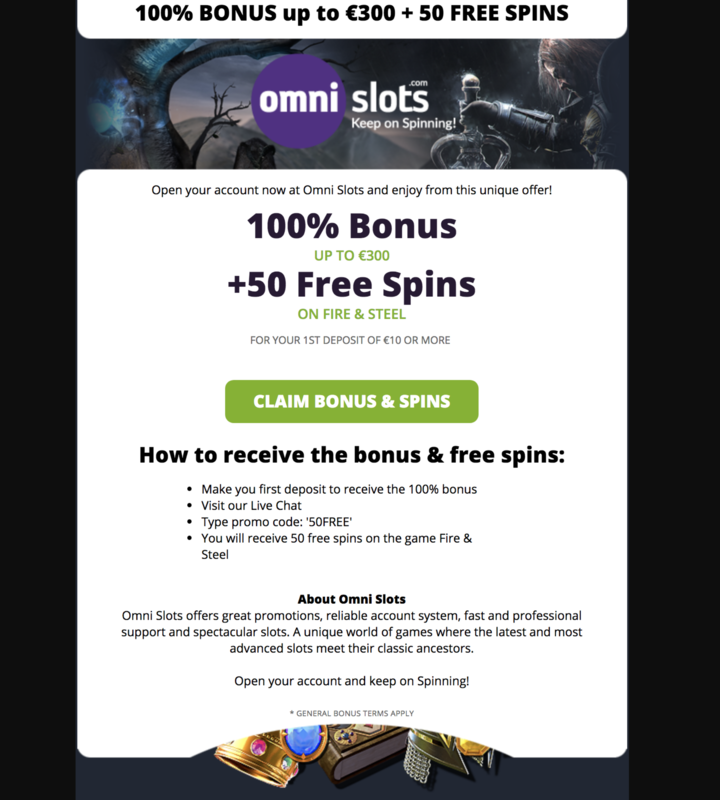 If you love a lot of slots action with some table and live games as a side activity and looking for high and low volatility games, then you should open an account now at Omni Slots and give it a try. We are sure it’s worth a try and many players who have tried are still playing at this mobile casino. Being an experienced player for 10 years now, I’ve experienced the good, the bad, and the ugly of various website slot companies. Companies which were easy in taking your money but then nothing. It seems that it’s really hard nowadays to find a respectable website that you can enjoy and be confident in. I thought to give a review for Omnislots, since I’m with them over 2 years now. I’ve spent countless hours playing their endless number of games. Some I got lucky and won big, and on some others, I lost. That’s part of the game though, right? 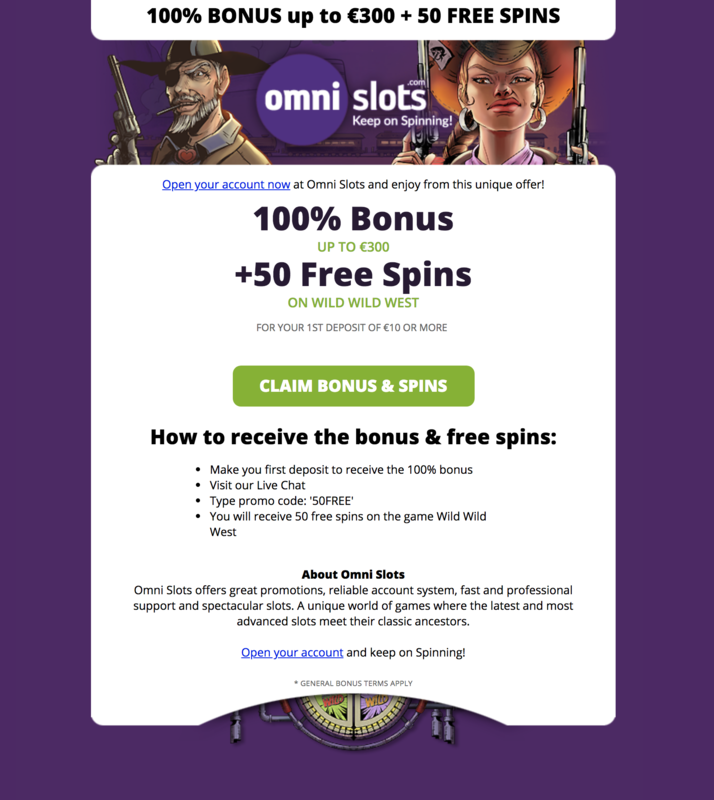 They update me with new game releases and give away free spins frequently. 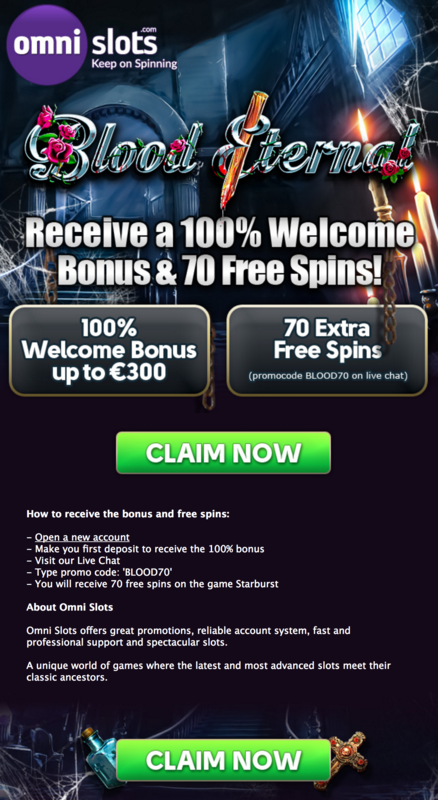 There’s a themed bonus every week which I obviously take advantage of, plus free spins for VIP players such as myself. But what I really like is that they are professional on all levels, from the customer service that’s always available for any questions or requests I might have to the smallest details of a player’s experience. Also, what I’m really pleased with is that they always keep their word. 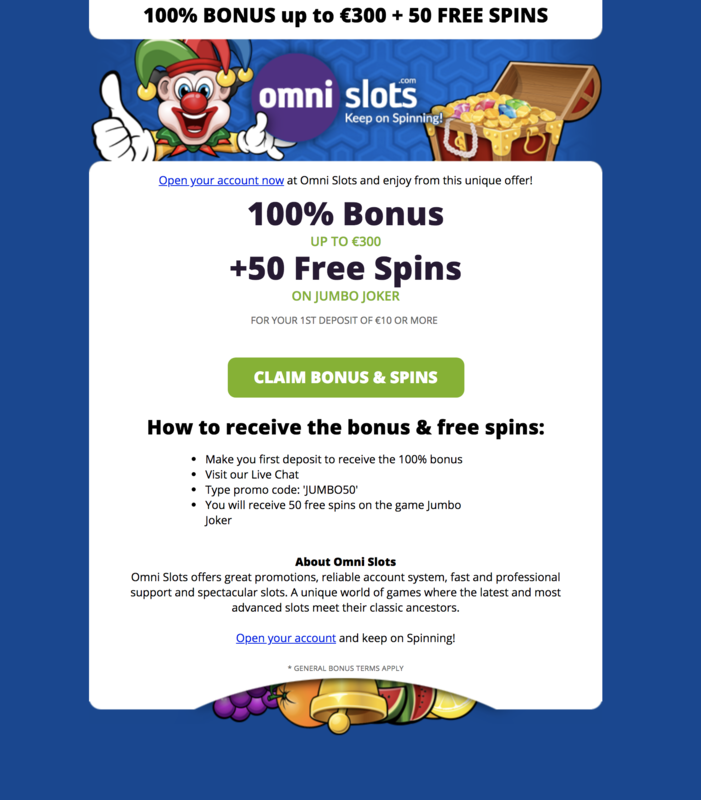 If I’m promised a bonus, I receive a bonus, if I’m promised free spins they automatically give them. The fact that they do regular competitions with huge prices up to 2000 euros shows that they mean business and they’re never stingy in any way. The website is way underrated, very nicely laid out, and easily accessible which is always a plus. There is an endless list of payments, and almost all of the big providers are available. So overall, from my experience I managed to find a website that I can trust and that offers me a great playing experience. I highly recommend it, Omnislots is definitely worth it and it’s here to stay. Imagine slots everywhere. Anywhere you look, a different game is waiting for you to press its buttons and take you on a wild ride. Are you picturing it? What you’re looking at now, is OmniSlots. A unique world of games where the latest and most advanced slots meet their classic ancestors. Where every pixel of every web page is dedicated to unite and entertain game lovers, old and new. Where you can enjoy all your favorites in a reliable and secure environment. Where playtime is never over. Discover the all-new, exciting world of OmniSlots. Apart from the internet’s greatest hits, our team has selected some of the hidden gems in game land. With our assortment of Netent, Amatic, Pariplay, Microgaming, Betsoft, Endorphine, 2by2, Genesis Gaming, Big Time Gaming, Quickspin, Rabcat, Wazdan, Gamomat and Stakelogic, you will find an instant classic after each click. Now that you know all about OmniSlots, it is time to play. Prepare to enter a world of fun after the click. 4. Do you have any questions or requests? Write it in the box below and we will do our best to serve you!